Ever since the acquisition of Beats, AirPods will be Apple’s first true innovation in music product line for many years since the evolution of her other main stream gadgets. 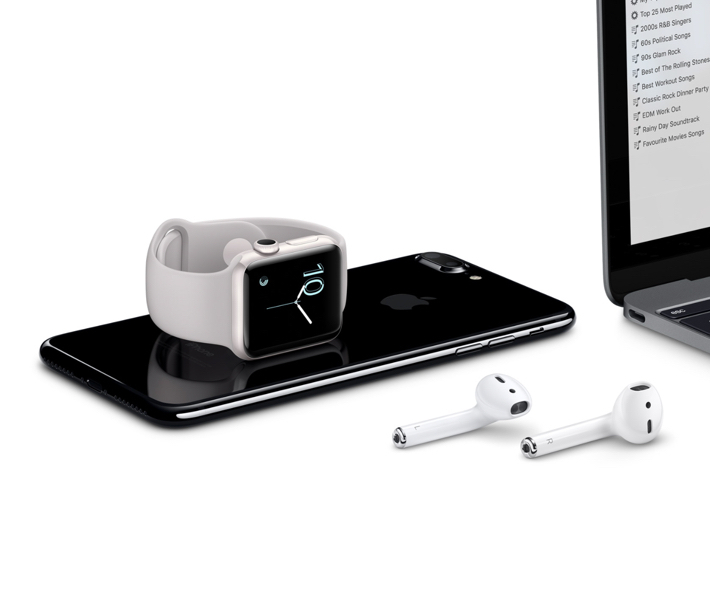 These Apple’s new wireless, cord-free in-ear headphones are unveiled alongside the iPhone 7 during September 2016. Unfortunately, in the foray of production issues, the Apple AirPods are only made available for order and shipment from mid December. It is also reasonably priced at USD 159 (S$238) against other models available in the market – the Samsung Gear IconX (USD 179.99), SOL Republic Amps Air (USD 179.99) and Earin (USD 199). 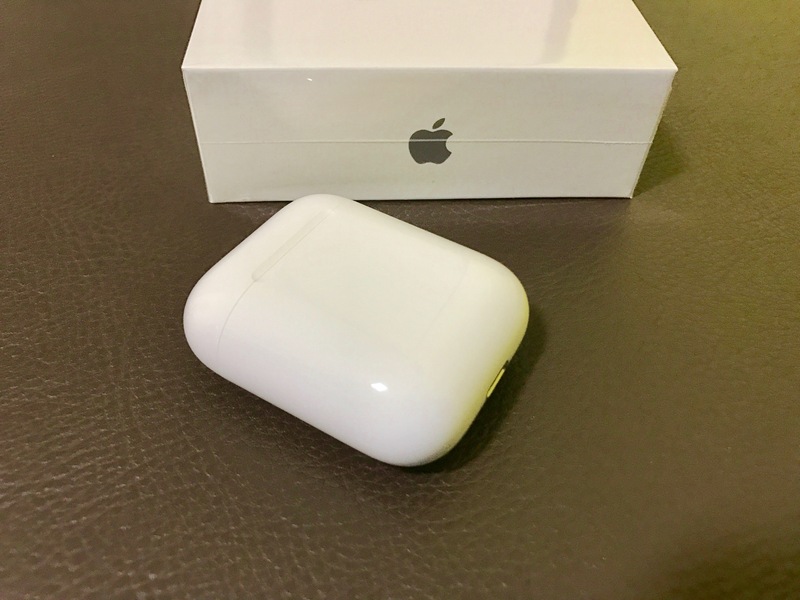 As with all other Apple products, the AirPods were a joy to unbox. 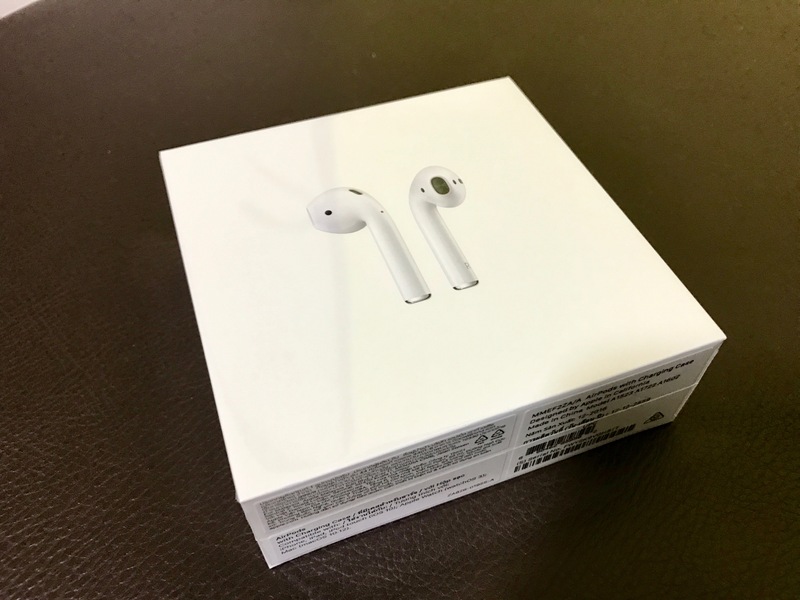 The minimalistic packaging has a nice touch of having the AirPods picture on the front of the box in a nice 3D emboss. 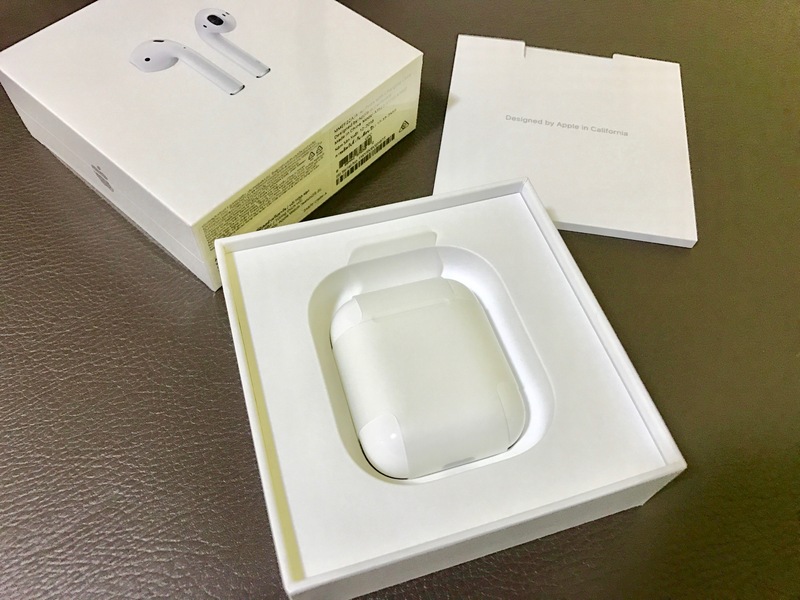 Inside the packaging, there is the standard getting started guide and regulatory information, the AirPods inside their case, and a lightning cable to charge the case. The AirPods are already 80 percent pre-charged right from the retail box. Here comes the main highlights of the delights packed into such small form factor. Apple’s new W1 chip makes setup and switching so easy. 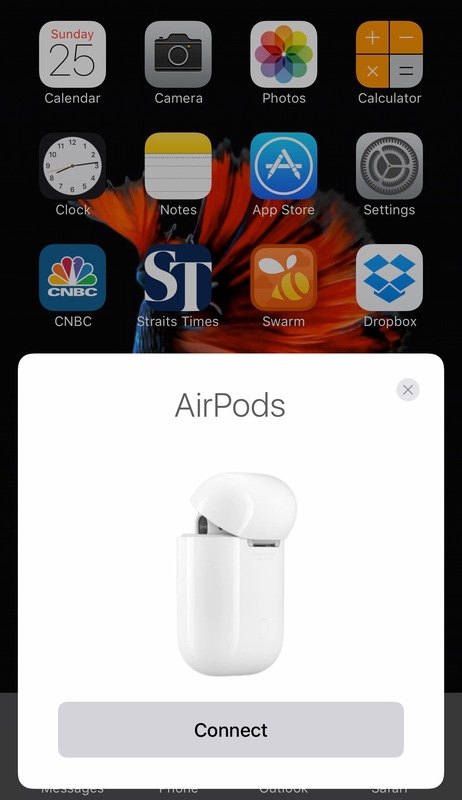 All you have to do to “pair” a new pair to your iPhone is open the lid of the AirPods case. 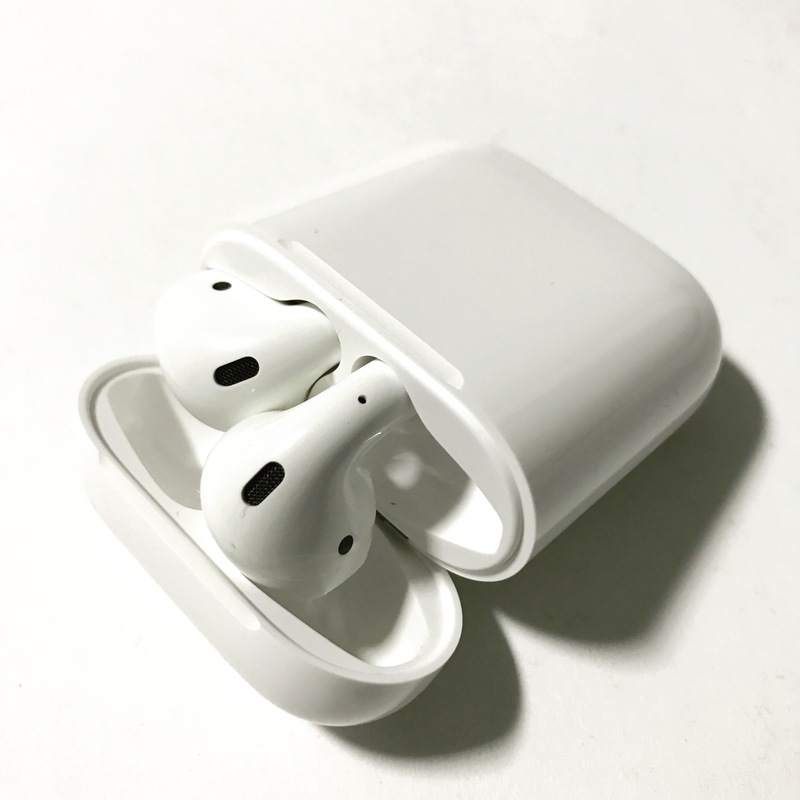 Within seconds, a picture of the AirPods and the case appears on your phone’s screen, complete with the current battery levels—and a Connect button. After pairing, the AirPods sill also be available to play from to your Mac, iPad, and any other gadget you’ve got, with no additional pairing. All this is possible via iCloud account. 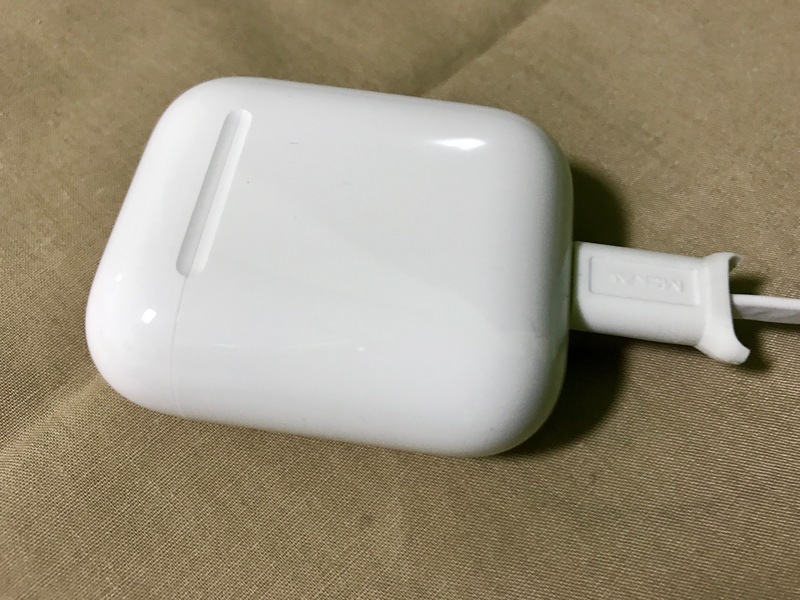 Apple’s shower-head-shaped AirPods are still similar in design, comfort, and sound in comparison to the wired earbuds that came with previous iPhone devices. The charging case is impressive. It looks and feels far less bulky than the other charging cases we’ve seen. The flip top reveals two recessed charging docks that the left and right earpieces slide into (magnets ensure they snap into place to charge). On the back panel, there’s a setup button—press this and the status LED on the case will blink white. 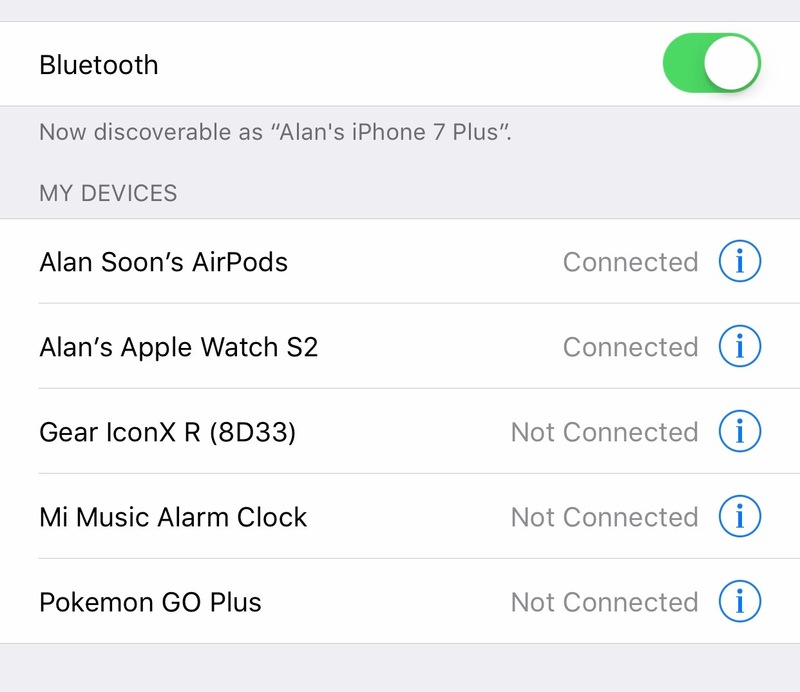 In this mode, you can set the AirPods to connect to iOS devices not associated with your iCloud account, third-party devices, or even an Apple TV. The chip also makes wireless transference of your audio more efficient, and that means the earbuds can get about five hours of playback time per charge. Each AirPod contain a tiny 93 milliwatt battery — that’s 1% the size of an iPhone battery. When it is fully charged, the AirPods play for 5 hours or 10 hours if you listen to only one at a time. The charging case also holds enough battery juice to recharge them for another 24 hours of listening. Whats more, a quick 15 min charging in the case will give the AirPods another 3 hours of battery life. Personally, I have tried to run with the AirPods with a full charge and it still has 87% battery life after a 10km run (~1hr) – impressive! Both earbuds have dual optical sensors that sense when they’re in your ears to pause and play music, and there are dual-voice accelerometers that can detect when you’re speaking. 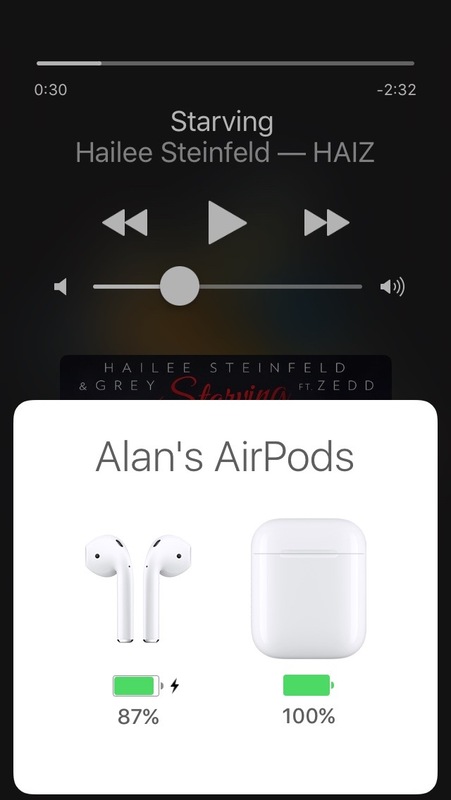 Double-tapping above the AirPods’ stem. 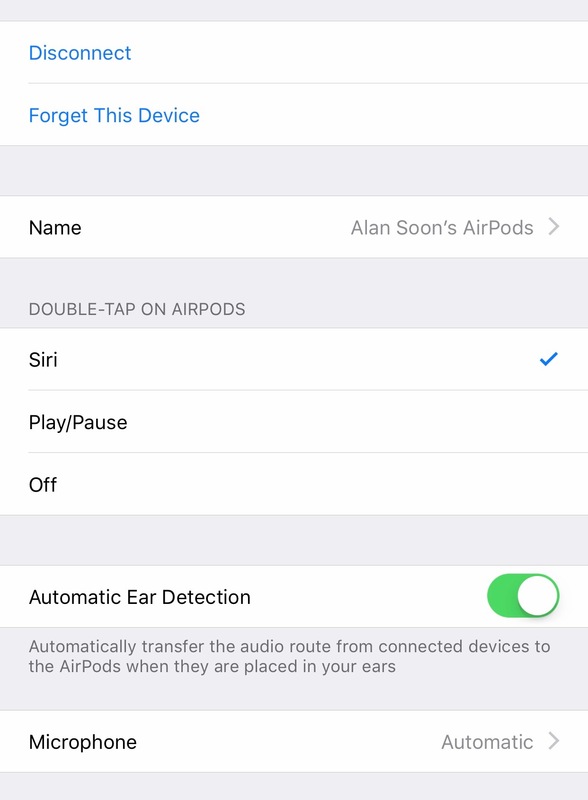 either activates Siri, allowing you to speak all of the basic playback commands, or controls play/pause for audio. However, there is no gesture to control the volume of the playback which you need to do so using the phone. b. Seamlessly pairs with multiple iOS devices on the same iCloud account. c. Carrying case doubles as backup battery. a. Lack of ear canal seal. Prone to surrounding ambient noises. b. Limited onboard controls and using Siri may not be the best approach. c. In-ear fit could be more secure. Overall, I have to say the AirPods are quite impressive! Even Tim Cook also called AirPods “a run away success” and they will change the way one use headphones. Wireless audio is clearly the direction of the future. 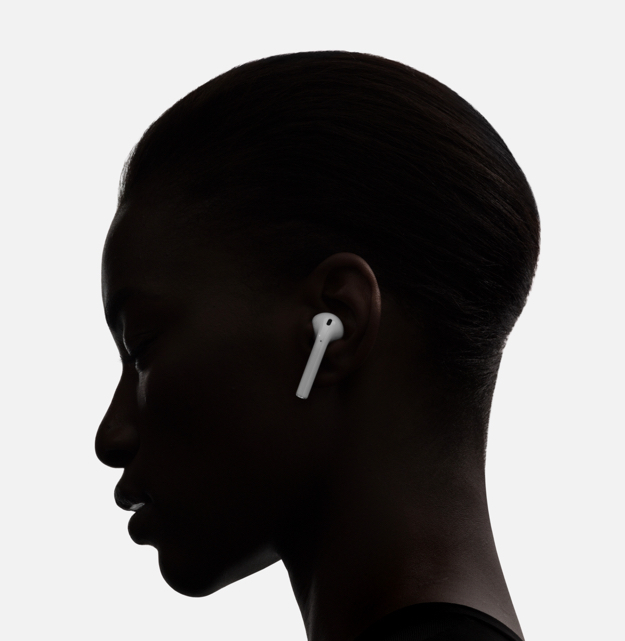 Apple gets so many things right – Connecting the AirPods is a seamless, nearly automatic experience and the charging case here is more graceful than competing models, and offers equal or better battery life. 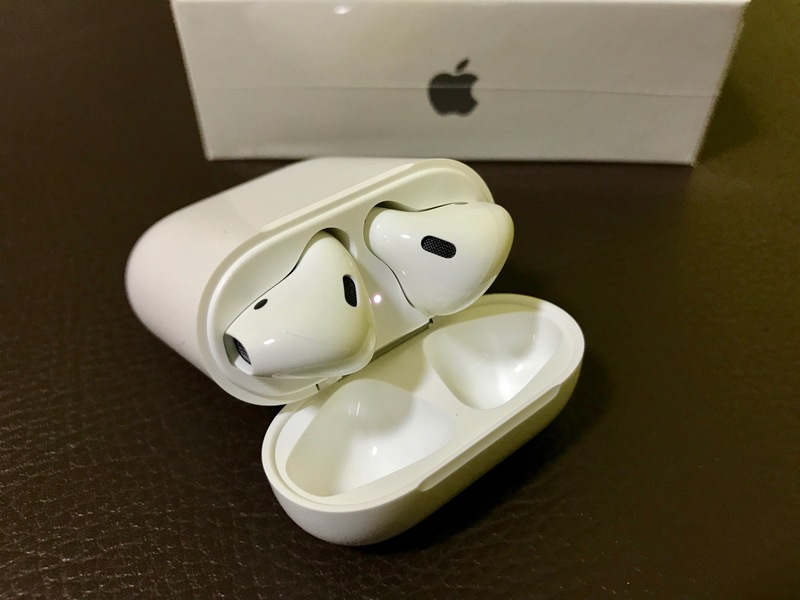 If you manage to get your hands on the Apple AirPods, do share your experiences with it too! Apple Watch first Over-the-Air software update is now available!